Though he's been a working actor for years, Jon Bernthal entered a new level of recognition when he starred as Shane Walsh in the first two seasons of "The Walking Dead." Since then, his career has been on fire and in addition to his TV roles, he's also taken on some interesting film jobs. Sweet Virginia (review) is one of those. Bernthal stars as Sam, a retired bull-rider-turned-motel-owner/operator of the Sweet Virgnia Motel in Alaska. His quiet existence turns sour when Elwood (Christopher Abbott), an oddball fanboy staying at the motel. The two strike up an uneasy friendship but what Sam doesn't realize is that Elwood is a hired killer who is laying low as he awaits payment for a job. Director Jamie M. Dagg's sophomore effort is a solid simmering thriller. Bernthal plays his role as nice guy always willing to go out of his way to help others but who has some violence in his past while Abbott, always a spectacular performer, plays Elwood as an off-kilter individual one word away from erupting into violence - which happens on occasion. It's a solid second feature from Dagg who is building himself an upstanding reputation as a director who elicits great performances and Sweet Virginia does not disappoint. 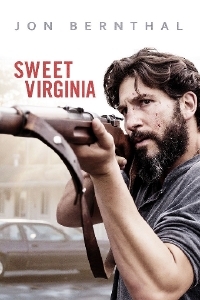 Sweet Virginia opens November 17.